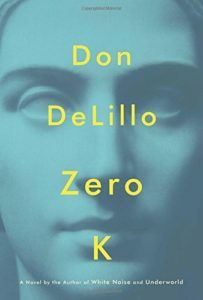 Don Delillo writes and successfully lays this down in this work of his. With this novel he does puts forward another kind of reliving things in the form of convergence, in Zero K, in a new form. And also he mentions “Sinclair Lewis called for “a literature worthy of our vastness.” A novelist tends to feel this spread and breadth in his fingertips (or not) and I’ve tried to bring a sense of our strange and dangerous times into my work.” – See more at: https://pen.org/transcript-interview/interview-don-delillo#sthash.tUJRiOtN.dpuf . Indeed he does so this, in this novel. Almost like a trip through a twilight zone episode. 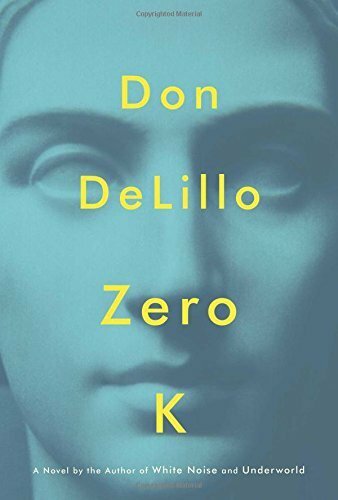 This is classic Delillo work, the sum of all works, a splendour, disarming, haunting, stark, insightful and satirical at times. A novel within a novel, always deep he writes, with great masterful sentencing, and language. He seduces you in with his first person narrative of Jeffery. He has his character try to find himself yet again in fiction, in his reality, and another possible world, he has the reader and the character in the narrative self reflective and envisioning a new world, a better world against all the dysfunction, the strange, the bad. With sensory overload he has the character see with a different eye at words and things and silence. He wishes his characters to find themselves once more after visiting the convergence, the labyrinthine strangeness of the place, and the great promises of a longer life and better life, and so the main protagonist Jeffrey retiring back to his reality and the the reality of violence of the world, trying to find another self and realisation. In that story its him and his dysfunctional family, his relationship with his hardly present rich and powerful father, and his mother that searches for love and of whom he tries to understand. There is no mention of zero k and the efforts of his father to have his stepmother, one that he finds a newfound care for, Frozen temporarily, life put on hold for a time till his reuniting at a later stage in a better form, same identity, but new healthier form, free from the violence and chaos of the modern and future days of Jeffery’s. This short story appears in part of the zero k.
With this work you are in the careful hands of Deliilo, his craftsmanship, his sentences, his narrators minds eye talking away, and having the reader glued to sentence upon sentence and hanging or stopped at the end of a line of words. The master craftsman of tales of disaster, death, money, technology, surreal and real, the great sports of life and arts, the functional and the dysfunctional, the underdog, and the powerful. “Artis, his wife, was suffering from several disabling illnesses. I knew that multiple sclerosis was largely responsible for her deterioration. My father was here as devoted witness to her passing and then as educated observer of whatever initial methods would allow preservation of the body until the year, the decade, the day when it might safely be permitted to reawaken. “I listened to him speak about the hundreds of millions of people into the future billions who are struggling to find something to eat not once or twice a day but all day every day. He spoke in detail about food systems, weather systems, the loss of forests, the spread of drought, the massive die-offs of birds and ocean life, the levels of carbon dioxide, the lack of drinking water, the waves of virus that envelop broad geographies.